Most people would stress a little about planning to be married in a place that isn’t even open yet, let alone close to being finished. 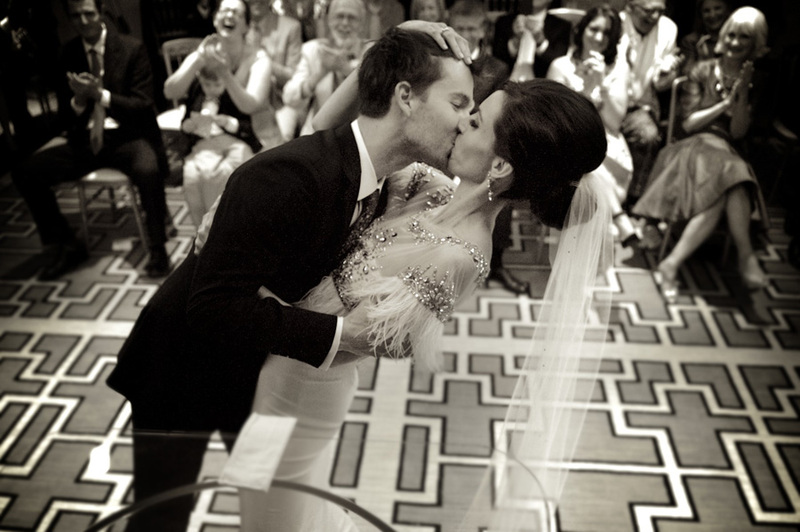 Kat and Adam were okay with that though and went ahead with having their wedding at the Langham Hotel in Chicago, whose doors opened four days prior to the couple’s wedding. 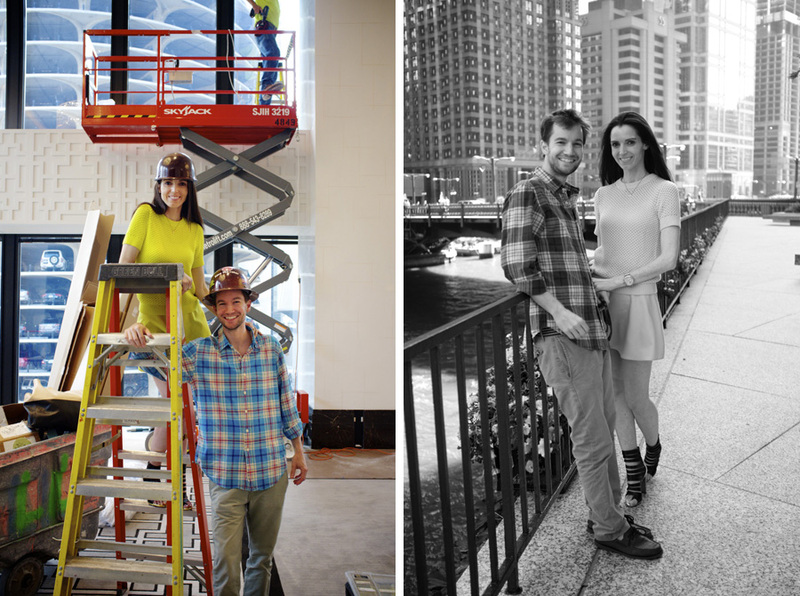 I met with Kat and Adam on the day the building opened to the public (see Kat and Adam in hardhats below in the room where their reception was supposed to take place four days later) and I can’t imagine another couple being more calm and cool. Everyone involved in the planning of the wedding was unbelievable. And their incredibly beautiful Chicago wedding went off without a hitch. Thank you, Kat and Adam, for including me in your extremely special day. All the best to you both! …and on to the big day.